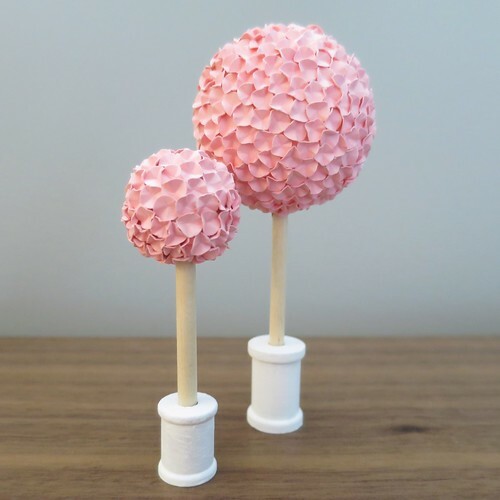 On Tuesday, I showed you how to make Paper Cherry Trees. Today, I’ll show you what I did with one of mine. 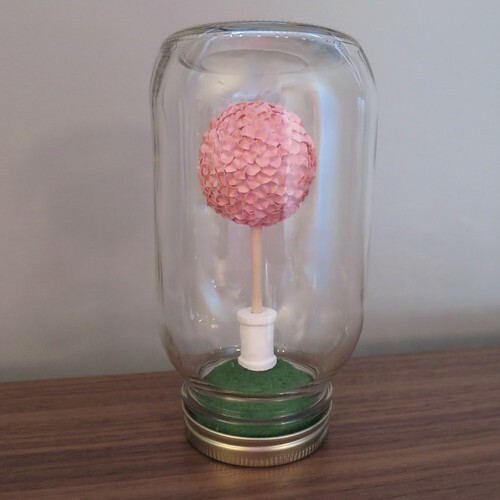 I turned it into a Cherry Tree under glass. Kind of a snow globe without snow or a terrarium without anything really growing in it. I am sure you have all see this kind of thing made with a mason jar. 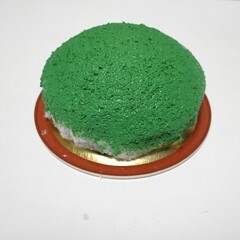 I think they are rather sweet and have been wanting to try my hand at one for awhile. 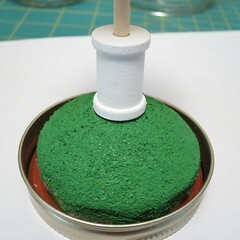 Other than drying time, it is a super quick and easy project, especially since I kept mine so simple. It is just a tree on a green hill, but you could add a small animal or scatter some extra “cherry blossoms” on the ground. If you used a wider mouth jar you could add two trees. I’m thinking of reopening mine to add a little squirrel or something. Speaking of jars, I used a smooth mason jar available at Jo-Ann for crafters (They sell them singly in store). It does not have the brand imprinted on the glass like jars you buy for canning. This is nice when you are using the jar for this type of display. The only issue was they only came in a regular size mouth and I would have liked to have had a wide mouth. 1. Cut the foam ball to fit on the top of your jar lid leaving enough space for the jar. You can see with mine I cut the sides straight for the jar to fit it. You won’t see those sides because the ring of the lid will cover it. 2. 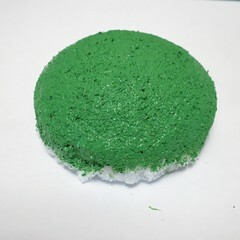 Paint the top of the styrofoam ball green. Let dry. Once again I didn’t worry about getting all the way down. 3. 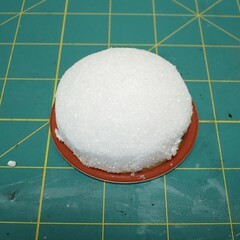 Glue the styrofoam ball to the lid. Let dry. 4. 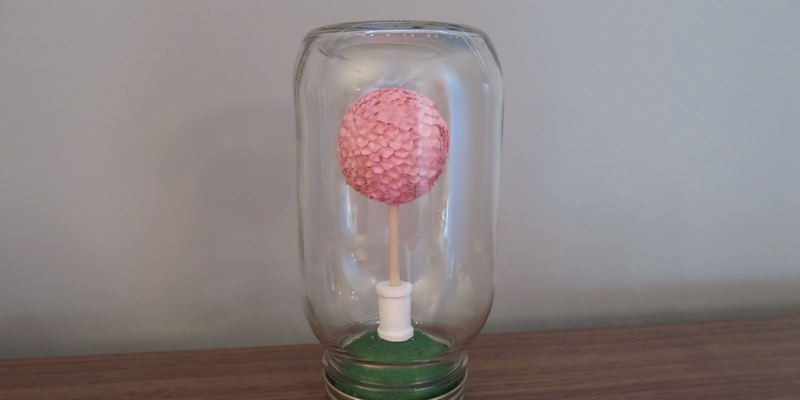 Glue the cherry tree to the top of the styrofoam ball. Make sure it’s straight. Let dry. Here you can see I have it placed in the neckband of the jar. 5. Screw the jar on top. Now, I think I might put the smaller tree in another jar and have a little display of these.